Zahabiya FlameX FRX-10/65 is a high performance, intumescent flame retardant coating with excellent fire retardant properties. 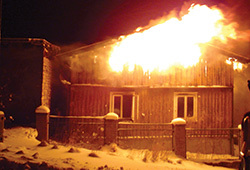 FRX-10/65, upon exposure to fire, swells up many folds to create an insulating char between the fire and the substrate, thereby reducing the reach of the flame to the substrate, thus retarding flame propagation, making it ideal for the protection of high “fire risk” cellulosic/ wooden rigid materials. Also acts as fire resistive coating for steel structures, delaying the structural failure, thus allowing adequate evacuation time.